Posted June 19th, 2017 by Kirti & filed under AdWords Tips, PPC Audit. Identifying your competitors and knowing how their ads are performing vis-à-vis yours can help you take strategic steps towards improving your competitiveness. AdWords Auction Insight Report is the key to keep track of your competition. This post will take you through all the components of the report and how to interpret the data. 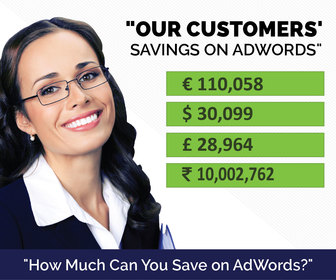 How to access AdWords Auction Insight Report? Step 2: You will see the report as shown below. If you wish you can choose to segment your report basis ‘Device’ or ‘Time’ to get more insight. 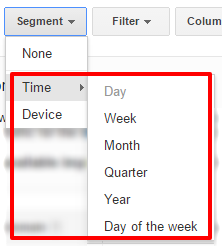 This can be done be selecting Device or Time from segment drop down menu. You can use the auction report to identify which device is being used by competitors for a specific keyword or set of keywords. It can help you decide a better device strategy and you can increase your bids for the device type your competition shows for. Similarly if you segment the data by time which is further bifurcated into week, month, quarter, year and day of the week, you can get insight into whether your competitor is appearing more often on certain day(s) or hour(s). You can decide to increase your bids during days when your competitor is highly competitive and lower your bid when they are lying low. Now that you have the report and insights in front of you, how do you interpret your AdWords Auction Insight Report? As you can see the report displays data under 6 metrics. Each of these columns reflect different information. We will take each up and discuss what needs they meet. With this metric you can know how often your impression share which is calculated as impression received divided by the total eligible impressions. It also tells you about how often your competitor’s ad received an impression as a proportion of the auctions your ad was competing for. With this information you can figure out how your ad is reaching out to people. You can analyze whether by increasing your bids there has been an improvement in your impression share. This metric shows the average position of your or other advertiser’s ad after a successful auction. It does not show the average position of your ad versus your competitor’s, but when each received an impression irrespective of whether it was during the same SERP inquiry. This metric shows the competitiveness of your competitor, as it shows how often, other participants received an impression that your ad also received an impression for. So if a participant has 80% overlap rate, then 8 out of 10 times your ad shows, the competitor’s ad also received an impression, indicating that they are also bidding for the same target keywords. So if it is a keyword that you wish to desperately drive traffic for, you need to make sure that you rank better than the competitor. To find this out, go to the keyword level auction insight report. Like in the snapshot below, extracted from keyword level, Advertiser A appears to have an overlap rate of 37% and has a position of 1.6 for the set of keywords selected. This makes clear that though the overlap rate isn’t much, yet the number of times the advertiser’s ads does show for the keyword, they rank better than us. It shows how often a competitor’s ad received a higher position than your ad during the same auction. This metric is a better reflection of which competitor’s ad is getting displayed along with your ad and whether they are ranking better or lower than you. If they are ranking better than you, then you might want to optimize your bidding strategy. This metric shows how often the ad (yours or other advertiser’s) was shown at the top of page results, above the organic listing. With this metric you can find out the times you ad ranked higher than the advertiser’s during the auction. So, if you made changes to your bidding strategy to outrank a specific competition, then this column reflects whether your approach has succeeded in outranking the competitor or not. As in the above example, for Advertiser A the outranking share is low at 21% which implies that the advertiser ranks higher in most of the auctions. As you can outrank only one competitor at a time with Target Outrank Share, you can start with Advertiser A in this case and increase your bids to rank better than it. Know more about Target Outrank Share. Competitor PPC Audit – Why is it Important For Your PPC Account? 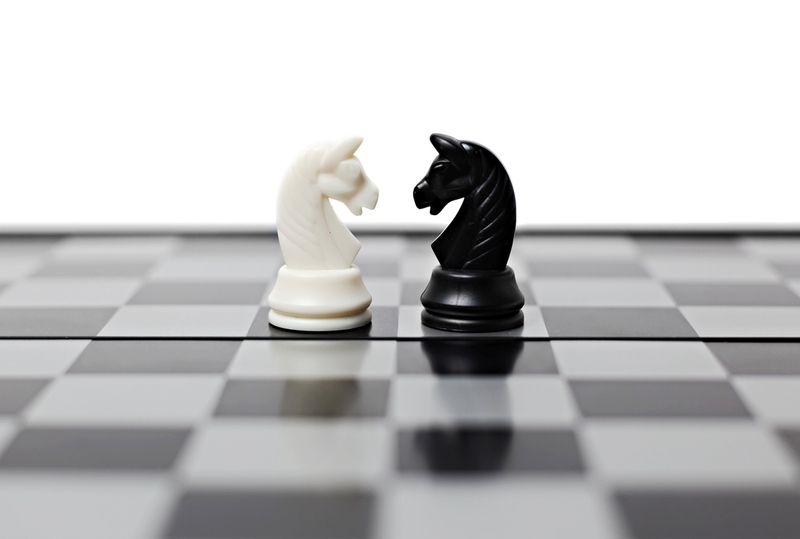 Which Smart Bidding Option Will Support Your Lead Generation Strategy?